West Drip Farm, Stirling, Scotland, self catering holiday accommodation on family farm. 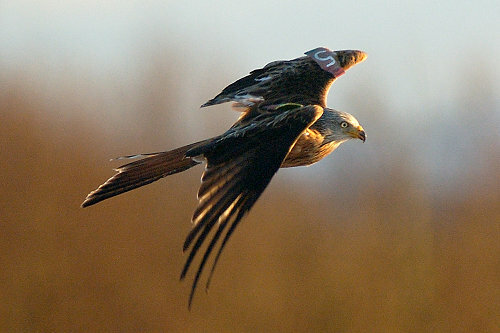 Argaty Red Kites – Guided visits at Central Scotland’s only red Kite Viewing station, more than 100 species are identified at this wildlife friendly farm which is privately funded. Here you can sit in a hide all day and watch the birds soaring and swooping down all day. Vane Farm – ( a little bit further away at Kinross but still worth the trip)Part of the Loch Leven National Nature Reserve, Vane Farm is an ideal day out for all the family. If you’re new to birdwatching, visit the viewing hides for close-up views of wildlife. If you prefer something more energetic, follow the steep trail to the top of Vane Hill and enjoy the spectacular vista – you may even see great spotted woodpeckers. In the summer, you could see ospreys on the loch, and in the winter, thousands of pink-footed geese, swans and ducks make the reserve their home. David Marshall Lodge – near Aberfoyle – CCTV is used to observe Ospreys at their nest during breeding season. Fantstic marked walks and mountain biking terrain, cafe, childrens playground, visitors centre and the location of “GO APE!” high wire adventure course. 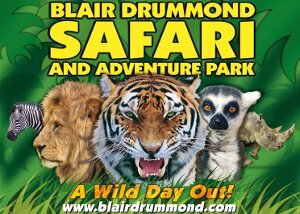 Blairdrummond Safari Park – Just a few minutes along the road from West Drip Farm is Blairdrummond Safari and Adventure Park. Visit the wild life animal reserves, adventure playground, boat trip around chimp island, pets farm, lemur land and much more. Auchingarrich – For a family day out visit Auchingarrich for wild animals, wild bird hatchery, woodland walks, falonry, fishery, adventure playground, picnic sites, walks and a coffee shop.